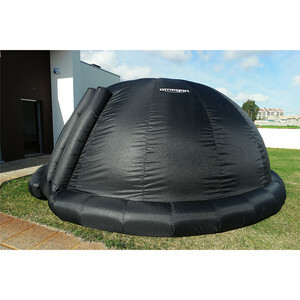 Are you looking for the right planetarium dome? - but you have no permanent location available for it, or you want to be able to easily relocate it? 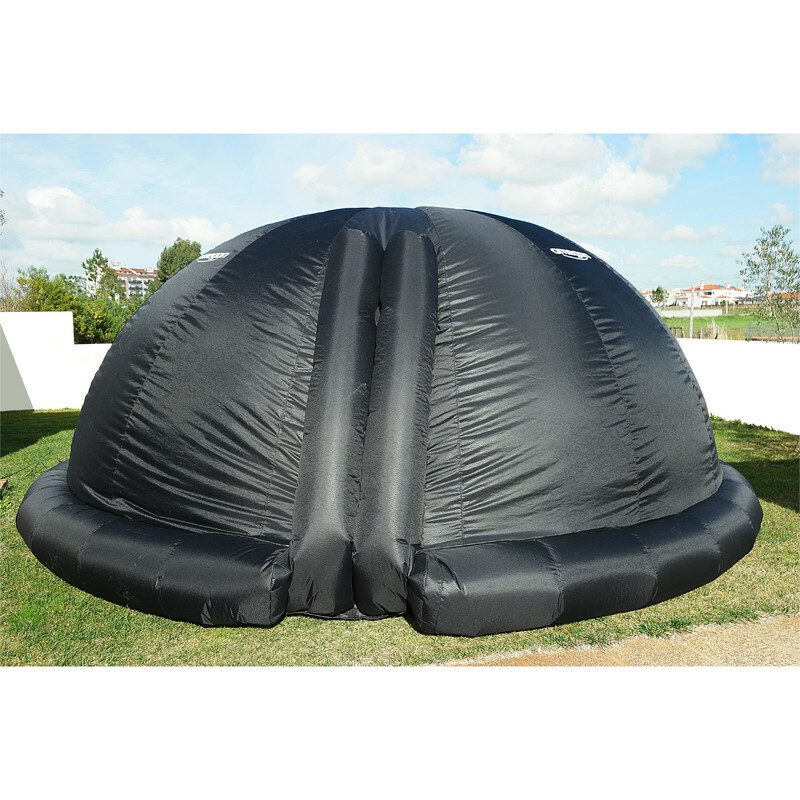 This inflatable 5 metre dome is easy to transport and is provides exactly the right arena. Invite your visitors inside and let's get the show started! Every theatre needs a space for its visitors, including a planetarium. 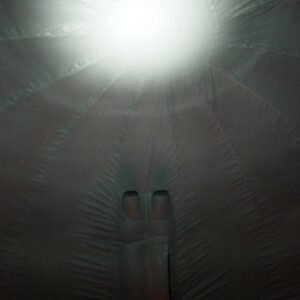 The Omegon 5 metre dome offers plenty of space for groups of visitors. For example - for school classes of up to 28 students aged 6-10 years, or for 15-20 adults. 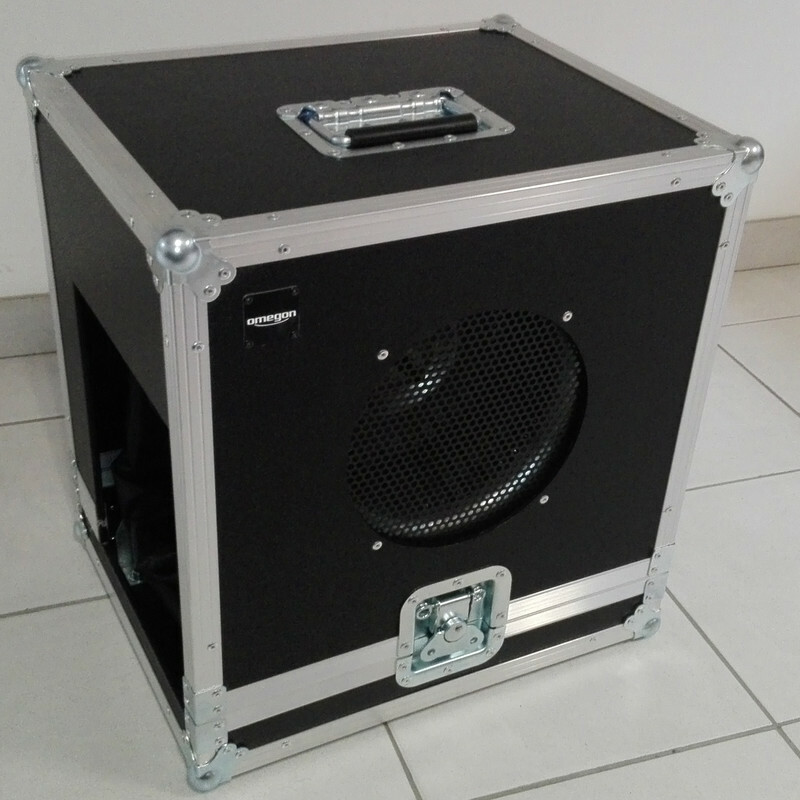 For all schools, clubs and observatories - there is finally now a way to disseminate multimedia astronomical education without the need of an expensive planetarium which would require a building permit. 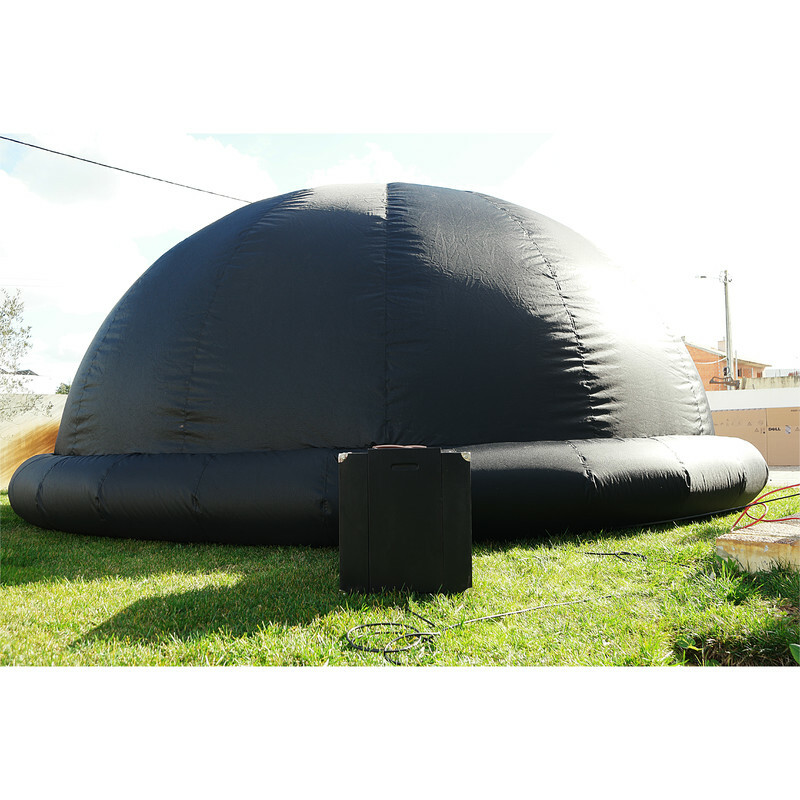 The 5 metre Omegon Planetarium dome is a professional solution for schools and clubs. Just take the starry sky with you and wow people! - also a great attraction at events, celebrations or fairs. The 360 ​​degree 'screen' provides an undisturbed view without irritating seams - the material is so finely crafted that you will not notice any imperfections. All you will see is a clear and balanced view of your presentation. The dome was designed for quick and easy setting up. The fan completely inflates your dome in just 3 minutes,so you can get started almost immediately with your presentation. A lot of people means more oxygen is needed - the exterior-mounted fan ensures conditions inside the dome remain pleasant. The fan quietly and unobtrusively continuously conveys fresh air into the dome. Your visitors will not even notice as the fresh air enters from above. And of course it never blows in the visitors faces. Simply pack the dome into the bag supplied. It can then be safely stowed away until the next time it is needed. Weighing 28kg and 46x45x60cm in size, your planetarium dome can be stored almost anywhere. The planetarium dome material is fireproof and comes with documentation certifying that it is fireproof. And if a visitor has to leave the dome quickly in an emergency, then he or she can simply raise the dome's bottom edge to get out into the open.